Tis the season for all things pumpkin pie flavored! Right? Or so it seems. Some things work well as "pumpkin pie spice" such as lattes and pie and some don't, such as m&m's (have you tried those...ewww!). 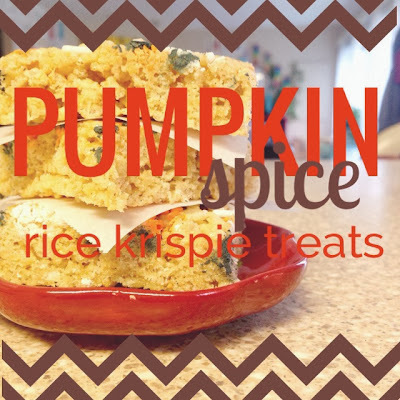 Want to make some "Pumpkin Spice Rice Krispie Treats"? Can't wait to try! I love all of these different adaptations to one of my favorite childhood treats!